Microsoft unveiled a series of new stuff at the Windows 10 and Surface event. Alongside latest features for Window 10, the company also launched new devices such as Surface Studio all-in-one PC and new VR headsets. 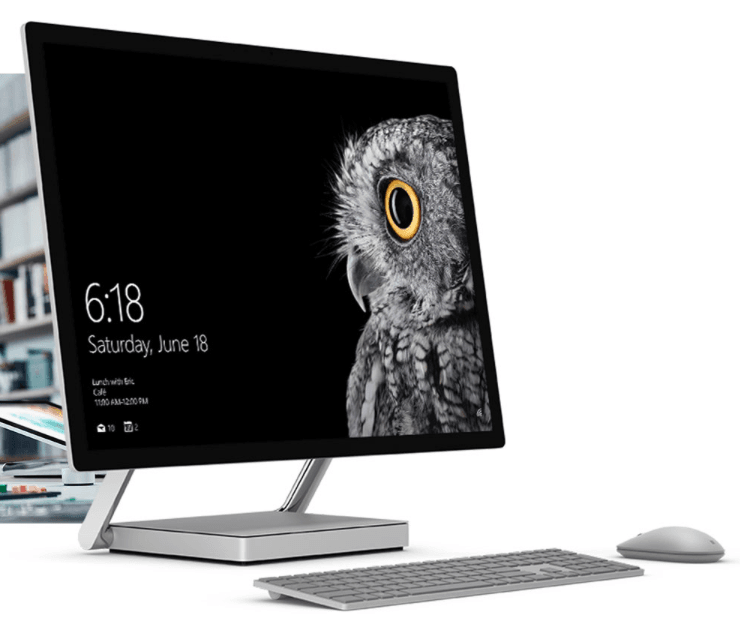 The Surface Studio all-in-one PC wants to be the future of Desktop computing. We couldn’t get enough of its beautiful design scheme. It comes with a 28-inch touch display, which is just 12.5 millimeters thick. 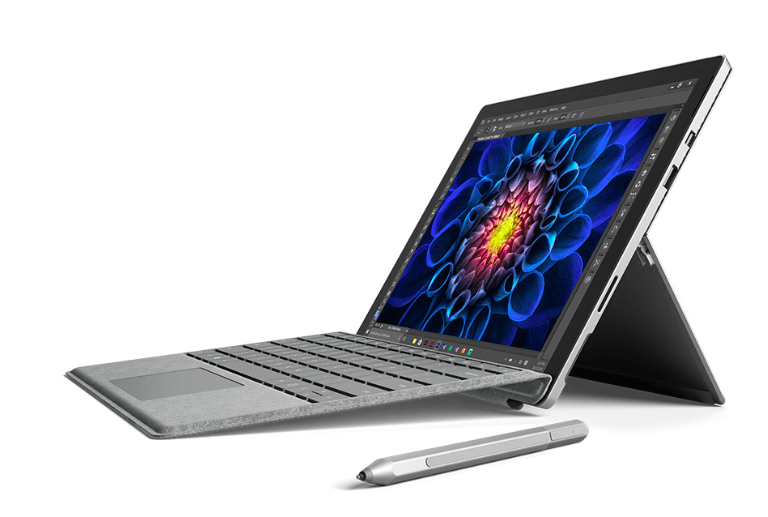 The screen folds down to a comfortable level to provide ease when working with a pen and Microsoft’s latest addition – a new dial peripheral, which helps in interacting intuitively with the software. Under the hood, it offers quad-core Intel Core i7 processor, stereo speakers with Dolby sound, and 3TB of internal storage. With the Surface Studio, Microsoft wants to rival Apple iMac. Even the pricing of the Surface Studio is kept exorbitant; it will cost whopping $3000 (approx 2 lacs). Let’s be honest; we think that consumers would be pretty conscious of spending such amount on a PC that can’t even handle heavy gaming. It looks fitting for artists and designers rather than general public. Microsoft also announced an overhauled version of the Surface Book. The 2016 version comes with the latest-generation Intel Core i7 processor. It packs in a better battery, which is claimed by Microsoft to last up to 16 hours on a single charge. The new Surface Book is priced at $2,399 (approx. 1.6 Lac) for the low-end new configuration with 256GB storage and 8GB of RAM while the high-end configuration with 1TB storage and 16GB RAM would set you back by $3,300 (approx. 2.2 Lac). In the US, these device are now up for pre-ordering. Microsoft will start shipping them on November 10. The Creators Update is set to make its way to Windows 10 in early 2017. It will be packed with a variety of new features. With this update, MS Paint and PowerPoint are going to become cooler than ever, thanks to 3D modeling and scanning capabilities. You can know more about Microsoft’s woking plan for the 3D ecosystem on Windows 10 by clicking on this link. To go hand in hand with Microsoft’s latest Windows 10-enabled 3D experiences, the next generation VR headsets have been launched. It reminds us of Google’s DayDream VR. 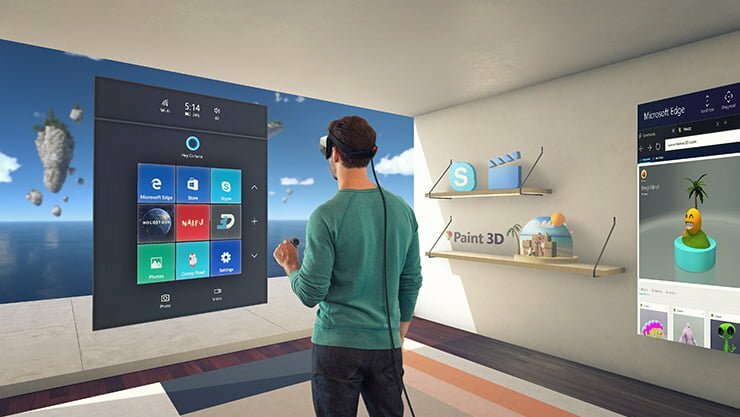 Microsoft has partnered with HP, Dell, Lenovo, Asus, and Acer to make VR headsets capable of handling mixed reality for the Creators Update. These VR headsets will be launched next year at a starting price of $ 299 (approx. Rs. 19,990). 2 Lacs is not a whooping amount for surface. It’s actually VFM as Microsoft doesn’t believe in giving 3 years old hardware to its customers like Apple do to its sheep.